Following the wave of puzzle games and escape rooms in the entertainment district Kabukichio of Shinjuku, Tokyo, comes a new challenge from the production company SCRAP. 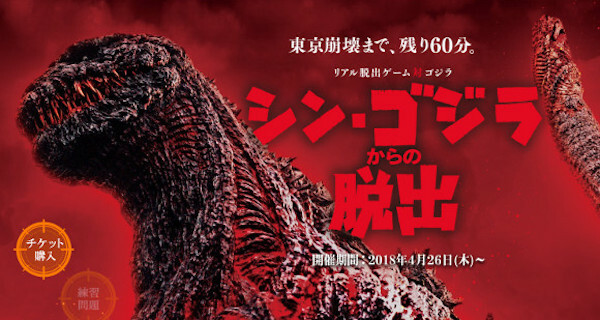 On April 26th, SCRAP will debut "Escape from Godzilla"--An escape game where attendees will be part of the "Giant Unidentified Creature Special Disaster Countermeasures Office". Like the 2016 film Shin Godzilla, members will use their resources to plan an effective strategy of beating Godzilla. (Via escape room puzzles.) But the clock is ticking! As you work together to beat Godzilla, and convince the Prime Minister of your plan, footage of Godzilla decimating the country remind you that the longer you take, the less there is to save! Can you take the pressure? Shin Godzilla's story is amusingly replicated in the game's scenario. 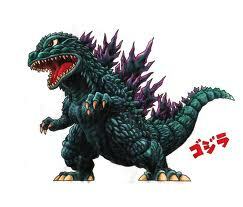 The idea of people working together to defeat Godzilla emphasizes the film's theme of Japanese unity and strength. As unlikely as it may seem, an escape room game is perfect. Of course there will be twists SCRAP won't reveal up front, but the game sounds creative and true to the film regardless. "Escape from Godzilla" opens April 26th, 2018 in Kabukicho, Shinjuku, Tokyo. I'm not generally a fan of escape rooms, but at least this one seems interesting. Probably solely because it's Godzilla. I agree. It sounds like it is going to be awesome. It has been a month since this was discussed. Has anything come up since, or has this idea been scrapped (cancelled)?